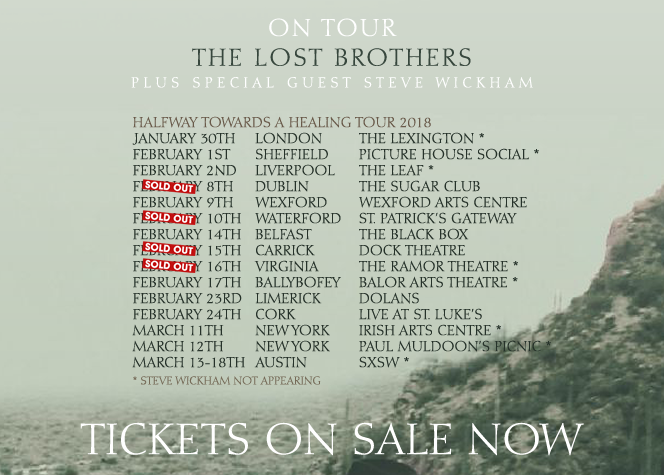 Irish duo The Lost Brothers celebrate 10 years together with the release of their fifth album, Halfway Towards A Healing. Since we first met The Lost Brothers in 2008 it seems the band have never been off the road touring the UK, Ireland, Europe and the USA. At the end of 2017 they celebrated 10 years together. The relentless gigging has paid off with each album going from strength to strength. 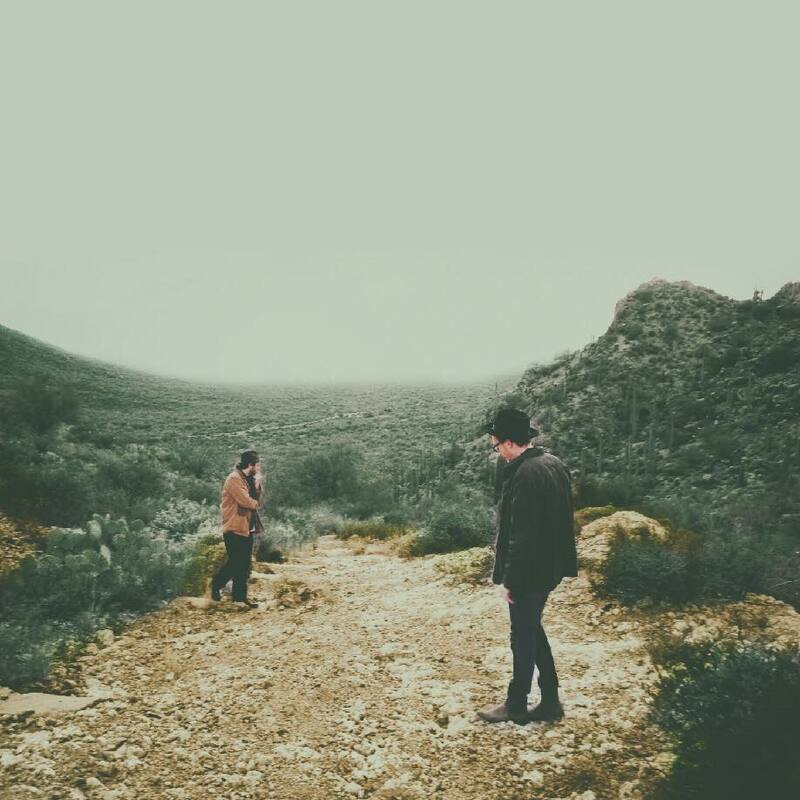 The new LP, Halfway Towards A Healing is their most sincere and sublime to date. Lead track, Echoes In The Wind is a gentle soothing folk prologue for an album that shines with glorious tender harmonies and stunning songwriting. It transports you to a dusty horizon but equally it’s almost like they are performing on your living room. Uptempo moments don’t gallop out of control with “More Than I Can Comprehend” (co-writen by fellow Irish artist and friend Glen Hansard) and the beautiful cinematic “Come Tomorrow” which conjures up Johnny Cash on his way to Rio Brava. Their 2008 debut album, Trails Of The Lonely, was produced in Portland, Oregon, by Mike Coykendall (M Ward, She & Him, Richmond Fontaine, Beth Orton, Bright Eyes). The duo will be playing their biggest Irish headline gig to date on Friday June 8th 2018 at the legendary Liberty Hall Theatre, Dublin. Get the new album, Halfway Towards A Healing on CD, vinyl and digital download here. Discover more about The Lost Brothers here.